It was the day for England, who dominated like a super talented side and crush India in all aspects of the game. 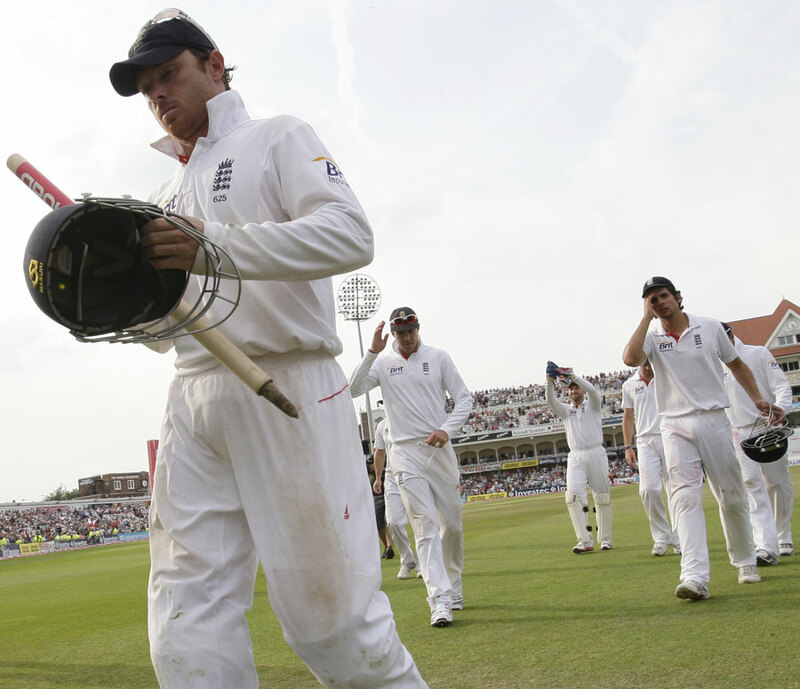 England won the 2nd test of the series by 319 runs against India. After winning both the test, England is now leading 4 tests series by 2-0. Similar to 1st test India won the toss and elected to field first. Indian bowlers dominated and bowled out England team in just 221 runs. At one time England was 117 at the loss of 7 wickets. But Broad (64) and Swann (28) stood still at the end and England finished with the total of 221 runs. Praveen Kumar, Ishant Sharma and Sreesanth took 3 wickets each. In reply India started really well with the help of Dravid (117) and Laxman (54). Also Yuvaraj Singh played really well and scored 62 runs. Everything was going in India’s favour till Broad started showing his evil face. Broad took 6 wickets in just 46 runs and restricted India to 288 runs with the lead of just 67 runs. Second innings was totally in England’s favour. Bell (159), Pietersen (63), Morgan (70), Prior (73) and Bresnan (90) played amazing game and set a huge total of 544 with the lead of 477 runs which was almost impossible for Indian team to chase. Praveen Kumar took 4 wickets. Indian players were looking under pressure while chasing a huge total. From the beginning only England bowlers dominated and took wickets in regular intervals. Whole Indian team got our for just 158 runs and lost the 2nd test match by 319 runs on 4th day of the match. Bresnan took 5 wickets. Broad from England declared as a player of the match.